Up-to-the-minute news about UFC 162, taking place Saturday, July 6, at the MGM Grand Garden Arena in Las Vegas, NV. All bouts listed have been verbally agreed upon by both fighters and are subject to change. Heavyweight Shane Del Rosario has been injured in training, forcing him to withdraw from his UFC 162 matchup against Dave Herman. Herman -- who infamously stated "jiu-jitsu doesn't work on me" before being submitted by Minotauro Nogueira -- will now face fourth-degree BJJ black belt Gabriel Gonzaga. *UPDATE: With Chan Sung Jung stepping in for Anthony Pettis to face Jose Aldo at UFC 163, his UFC 162 bout with Ricardo Lamas has been scrapped. An injury has forced lightweight striker John Makdessi out of his UFC 162 bout with Edson Braboza. Stepping in for Makdessi is Rafaello "Tractor" Oliveira, who most recently outpointed Yoislandy Izquierdo at UFC 148. After being pulled from UFC on FOX 7 due to an injury to his opponent, "Stormin'"Norman Parke has a new bout scheduled. The TUF Smashes winner will face Kazuki Tokudome, who made a successful Octagon debut earlier this year when he outpointed Cristiano Marcello at UFC on FUEL TV 8. Talented strikers John "The Bull" Makdessi and Edson Barboza will try to make some headway in the stacked lightweight division when they meet at UFC 162. Both men are coming off impressive victories in their most recent bouts. UFC 162 gets a big addition (literally), as heavyweights Dave Herman and Shane Del Rosario have agreed to face off in a battle of heavyweight strikers. Both men will look to get get back on track after setbacks in their most recent outings. A pair of exciting featherweight matchups have been to the already stacked UFC 162 card. Former UFC lightweight champion Frankie Edgar will make his second appearance at 145 pounds, taking on dangerous submission artist Charles "Do Bronx" Oliveira. Cub Swanson will look to keep his impressive win streak going against fellow striker Dennis Siver. The two men were originally scheduled to meet at February's UFC on FUEL TV event, before a Siver injury resulted in Swanson facing Dustin Poirier. “The Korean Zombie” Chan Sung Jung, returns July 6th, where the featherweight division's most electrifying fighter will be taking on the number 2 contender, Ricardo Lamas, who has yet to be defeated at that weight. Stakes are high as the winner may be in line for a title shot. The summer's signature UFC event continues to take shape with new bouts now made. 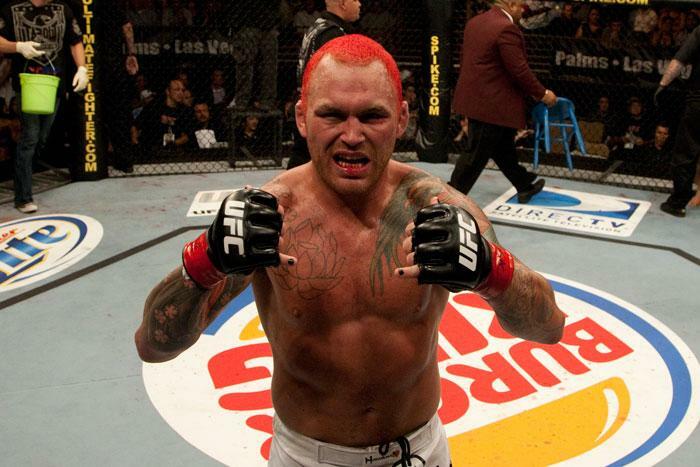 Chris "The Crippler" Leben will be back in action in Las Vegas as he takes on 8-1 Andrew "Highlight" Craig at UFC 162 in July. Incoming Strikeforce welterweight Brian Melancon will make his Octagon debut that night against Seth "The Polish Pistola" Baczynski. Additionally, the planned light heavyweight matchup between Rafael "Feijao" Cavalcanteand Thiago Silva is now off the card, having been bumped to another event to be named soon. The UFC's annual Fourth of July weekend fight will be held this year on July 6 at MGM Grand Garden Arena in Las Vegas, with four bouts already booked for the tentpole event. In the main event, reigning middleweight champion Anderson "The Spider" Silva will defend his championship against Chris "The All-American" Weidman. 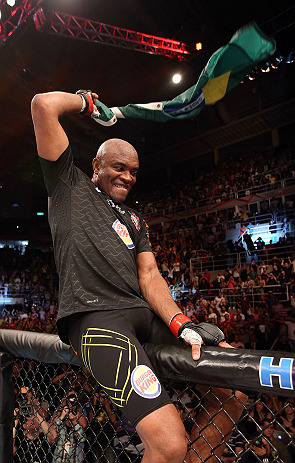 Silva last defended his belt -- via second-round TKO of Chael Sonnen -- at the summer Vegas event in 2012. Highly-regarded Strikeforce middleweights Roger Gracie and Tim Kennedy will make their UFC debuts against one another at UFC 162; middleweights Tim "The Barbarian" Boetsch and top-ten ranked Mark "The Filipino Wrecking Machine" Munoz will also clash. Plus, two dangerous Brazilian light heavyweights will look to crack their way into the top ten rankings as Rafael "Feijao" Cavalcante will face Thiago Silva. More information on the card, including a main event and ticket information, will be announced in following weeks on UFC.com.